Planning To Travel By Bus? Here’s The Cheapest Method Of Booking! With trains and flights making long distance travel quick and personal cars ensuring comfortable short journeys, seldom do we consider buses as a travel resource. Most of us consider them to be state-employed transport service for interstate travel. However, long journeys and buses too is a combination worth trying. What it takes up in the form of time, it makes up for adequately in the form of memories. Because when it comes to spending time with friends, the longer the better! So why opt for trains or flights when buses allow you to spend much more time together? And why focus on the road in a car when you can give all your attention to your friends. Be it short or long travels, bus booking is an idea you must consider if your motive is recreation, and not business. And if you are already considering travelling by bus, it wouldn’t hurt to lower your expenses further. Here are a few ideas you must be aware of if you want your bus travel to be fun, memorable – and cheap! The longer you wait, the costlier tickets get – never forget this. While this might be useless in last minute plans, getaways with friends are usually planned months in advance so everyone can free up their schedule for the decided duration. Therefore, decide on a place, ascertain how many people are going for sure and book your tickets as early as possible. Given that this idea does not account for emergency cancellations, it’s better to be on the optimistic side than to waste your hard earned money on expensive tickets. Remember to save your tickets in a safe place and possibly store a digital copy on the cloud as well. Most people travel on weekends, be it to attend an event, enjoy a vacation or anything else. Long weekends are even waited for eagerly and planned well in advance. However, given that the bus companies enjoy the best sales during the weekend, they price their tickets in a comparatively expensive segment. The best way to avoid this needless price hike is to travel on weekdays. Take a day off and book your tickets for Thursday to ensure you still get to enjoy your weekend without paying extra for the tickets. To add to the incentive is that buses are less occupied during weekdays, so you and your friends can have larger freedom to crack your jokes out loud. India is a land of festivals with each of them celebrated with . We see hordes of people heading to their hometown from their universities, workplaces, etc. to be with their families for the festival. As a result, there is a lot of booking around a festival and therefore, a lot of surge pricing. But the scenario is completely different on a festival. With everyone having journeyed back to their home, there are hardly any travelers on festivals and to tackle this situation and attract more customers, many operators slash their prices. Although festivals aren’t exactly occasions one prefers to travel on, the fact can be exploited to get yourself a heavy discount on your vacation. So pick a festival you aren’t a great fan of and book your tickets for the day to give your vacation a budget start. Promo codes are perhaps the greatest boon of this digital age for an online shopper. Everybody is on the lookout for the cheapest deal and in order to attract the most customers, online portals offer heavy discounts to visitors in the form of promo codes. Be it for your first ride, for booking multiple tickets, or under any other guise, promo codes are available in plenty today and are indeed a great way of saving some bucks. So be on your toes, sign up if necessary (if frequent mails don’t bother you) and use promo codes to reduce the expense of your vacation. 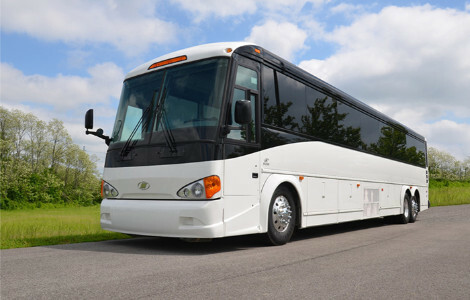 For any sort of travel bus booking is an option that must always be kept on the table. Since railways is operated by the government and established national or international companies run airlines, it is only bus travel that allows a say to consumers – allows you to choose your comfort level on your own budget. Despite the time it takes, this perk certainly showcases buses as a heavy contender as your means of transportation. So take a short break from your monotonous schedule and enjoy a well-deserved vacation with your beloved friends or family. And rather than going for a train or flight, give the much cheaper option of bus travel a chance this time. Because while the other two would land you at your destination, only a bus can make you fall in love with the journey too.